Imagine the challenge of trying to succeed in school while struggling with reading. Reach Potential recognizes that reading is foundational and provides elementary students (K-5) the chance to get reading and homework support from youth and adult tutors just like you. In fact it could be you! There is no previous experience required and you will be guided by a trained educator. 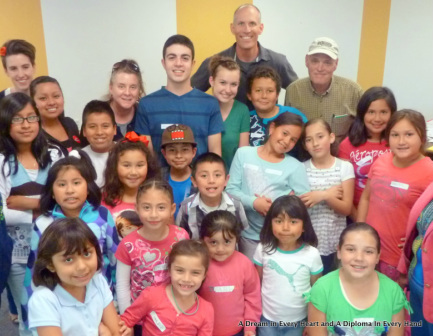 Tutoring is on Mondays through Wednesdays from 3:30 - 4:30pm at the Gateway Neighborhood Center in Sunnyvale. We are currently accepting adult and youth tutor applications for volunteers looking to commit to tutoring one hour a week. If interested in being a tutor, please complete and send in our application form. With interest or questions, please contact us. Contribute below to help cover the costs of supplies for a child at Reading Readiness (And signup to volunteer on the left). Or see other ways to contribute.